Faded parking lot paint can not only bring down the curb appeal of your property but it can also affect traffic safety. Clearly marked parking spaces, traffic flow arrows, and properly marked accessible spaces in a parking lot are the property manager’s responsibly. Not meeting ADA regulations and/or not directing traffic properly, can lead to damages to individuals and their property that can then also become the responsibility of the property manager. Because of this, parking lot paint is an important regular maintenance practice that helps to keep your parking lot fresh and within standards. 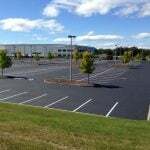 Parking lot inspection – As important as parking lot line striping is, fresh lines on a damaged parking lot can only go so far. 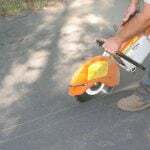 Because of this, it is very important to have your pavement cracks and potholes filled and patched prior to your line striping job. Parking arrangements – The day that your line striping job is scheduled to be completed you will need to make parking arrangements elsewhere. 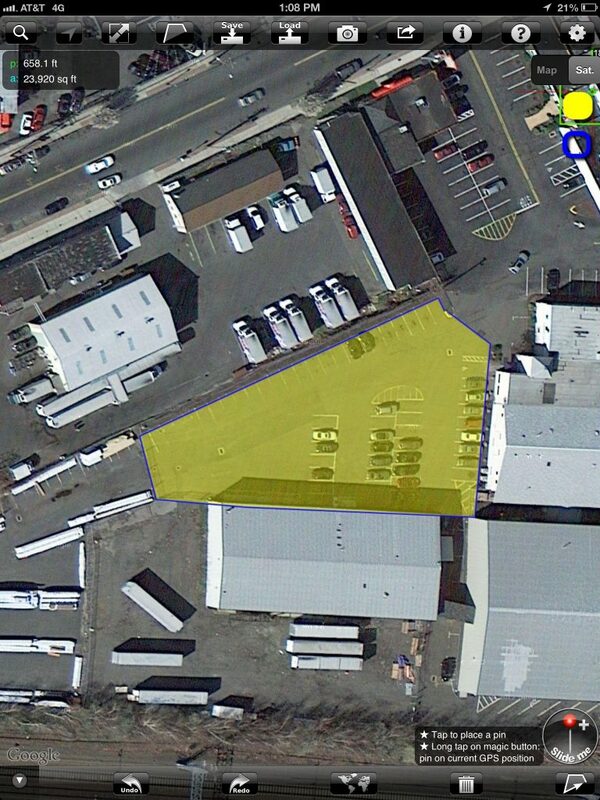 The most important part of this preparation step is to give notice of this parking change to employees, clients, and/or tenants that use this parking lot. It is important to make sure you are giving an ample amount of notice to allow them time to make proper arrangements. At EastCoat Pavement Services, it is part of our process to set aside dedicated time for planning each individual project. As part of this phase, we will provide the property manager with a diagram to distribute to tenants outlining which lots or sections we are doing work on and on which days, taking the hassle out of the notification process. In addition to the lot needing to be clear of cars before the job can get done, the paint will also need to dry following completion, before it can be driven on. Fortunately, parking lot paint dries very quickly and is often dry within 5-10 minutes after painting if in direct sunlight. Although we make sure to keep the working area sectioned off while the project is in process, in most cases we will open up these areas prior to leaving, once the paint has dried. Clean up – Your parking lot should be clear of excess dirt, gravel, rocks, trash, and other obstructions that could stunt your paving contractors progress. 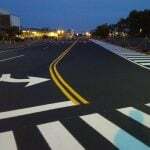 You may want to look into having your pavement professionally cleaned or swept prior to a striping project. During the planning phase, your paving contractor can help to layout a preparation list, as well as determine if your pavement will need professional cleaning prior to the project’s start date. Keep it dry – Before beginning any parking lot paint job, it is extremely important to make sure the pavement is completely dry. Although you cannot control the weather, you can control other water sources, like sprinklers. If you have sprinklers on your commercial property, you will need to turn them off at least 24 hours before your striping job is scheduled, and leave them off for 24 hours following the completion of the job. Arranging commercial parking lot maintenance is never a simple task and because of this, hiring a professional is extremely important in ensuring the job is done correctly and efficiently. A professional paving contractor, like EastCoat Pavement Services, will know how to get your parking lot looking its best and back up and running as soon as possible. Not only are we trained to work efficiently, but we also are highly trained on all ADA regulations in your local area, and understand the importance of correct parking lot striping. 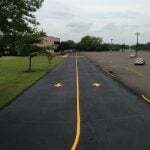 EastCoat Pavement Services is your local paving contractor for your commercial parking lot striping jobs, as well as all other asphalt maintenances and installations. 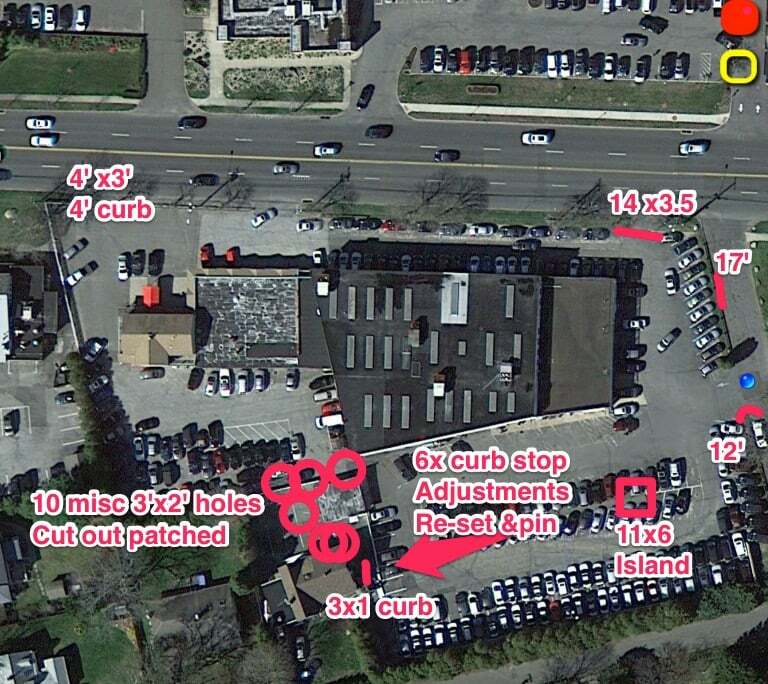 Your parking lot is a large investment, and it involves a lot of logistics, so make sure it is done right the first time! Contact us today for your free consultation!